As we age, our bodies change, and one change experienced by many women in the US is the development of osteoporosis. Research is being conducted into early indicators of this chronic illness that leads to a slow diminishment in the density of the skeletal structure. As the bone density decreases, patients can experience numerous health and mobility issues. Women are almost twice as likely to suffer from osteoporosis as men. If you suffer from osteoporosis and you’ve experienced advanced tooth loss, you may think that dental implants are not an option to renew your smile, but recent studies indicate that patients with osteoporosis may have excellent implant success with proper treatment. 5 Ways to Protect Your Child’s Smile This Spring! Your child can’t wait to see what the Easter bunny is bringing this year. Candy eggs, chocolate bunnies and more… but what about her teeth? It’s no secret that those sugary treats put her smile at a real risk of decay and infection — but you can help to protect your little one’s oral health this spring with these five tips from Dr. Ayer, the children’s dentist in Lenexa KS! 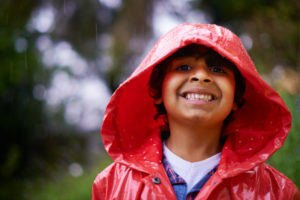 Comments Off on 5 Ways to Protect Your Child’s Smile This Spring! As your trusted family dental practice, there are some things we’ll never get tired of hearing. One of those is how patient lives are transformed by dental implants — because we know that to go from living with an incomplete smile to having all your strong, beautiful teeth once again is a powerful thing. In fact, dental implants are by far the best option in tooth replacement. Keep reading to learn more about the treatment from your dentist in Lenexa KS, Dr. Ayer.